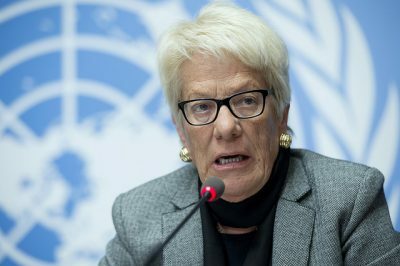 Carla del Ponte, a member of the UN Independent International Commission of Inquiry on Syria, told Swiss TV there were “strong, concrete suspicions but not yet incontrovertible proof,” that rebels seeking to oust Syrian President Bashar al-Assad had used the nerve agent. But she said her panel had not yet seen any evidence of Syrian government forces using chemical weapons (CW), according to the BBC, she added that more investigation was needed. Damascus is facing growing Western accusations that its forces used such weapons, which US President Obama has described as crossing a Red Line. But Ms. del Ponte’s remarks may serve to shift the focus of international concern. Ms. del Ponte, who in 1999 was appointed to head the UN was crimes tribunals for Yugoslavia and Rwanda, has sometimes been a controversial figure. She was removed from her Rwanda post by the UN Security Council in 2003, but she continued as the Chief prosecutor for the Yugoslav tribunal until 2008. 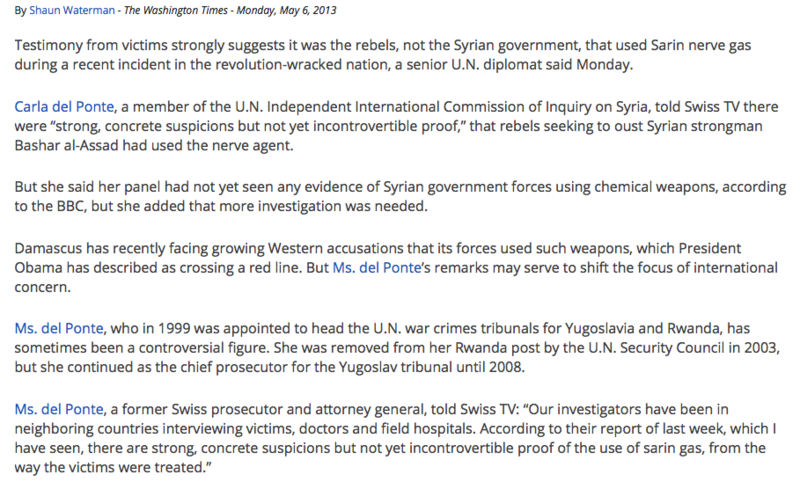 Rebel Free Syrian Army spokesman Louay Almokdad denied that rebels had use chemical weapons (CW).